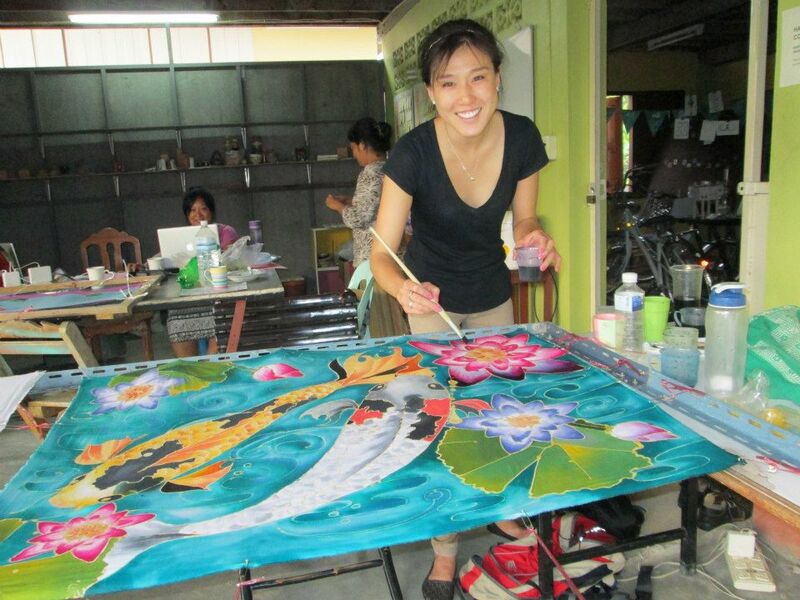 Kendra doing “batik” (traditional silk dying/painting) while living in Thailand last year. Hong Kong until age 6, then Hercules (East Bay Area). 2. What is your favorite art form? 3. What college did you attend and what did you study? 4. Do you have a favorite quotation? “Gam zeh ya’avor” (This too shall pass). 5. Any career highlights you’d like to share? What are you currently doing? Tried my hand at tax accounting during college and discovered quickly that I need human interaction to thrive; so I joined consulting with Accenture upon graduation and have been here ever since (7 years)! So far, I have consulted for every major industry and in 8 states and 4 countries. Currently, I am staffed in sunny Irvine — my best commute to date! 6. If you could go anywhere on vacation, where would it be? 7. What inspired you to join the Workshop’s Board of Directors? Growing up as an immigrant in the Bay Area, I did not get the exposure and engagement with the arts that I craved as a naturally creative and inquisitive individual. Had I had this exposure, I feel I would’ve been able to develop the self-confidence I now have, but much earlier on. I joined the Workshop to help ensure that future generations of Bay Area youth can have this exposure and reap the benefits. Acrylic painting, travel, DIY projects and crafts, trying & reviewing restaurants. 9. What do you like to do on the weekend/in your time off? I like to take weekend trips when I can, but if at home, I enjoy running around San Francisco with my fiancé and taking advantage of all the festivals and events that this great city always has going on. 10. Do you have a favorite book?